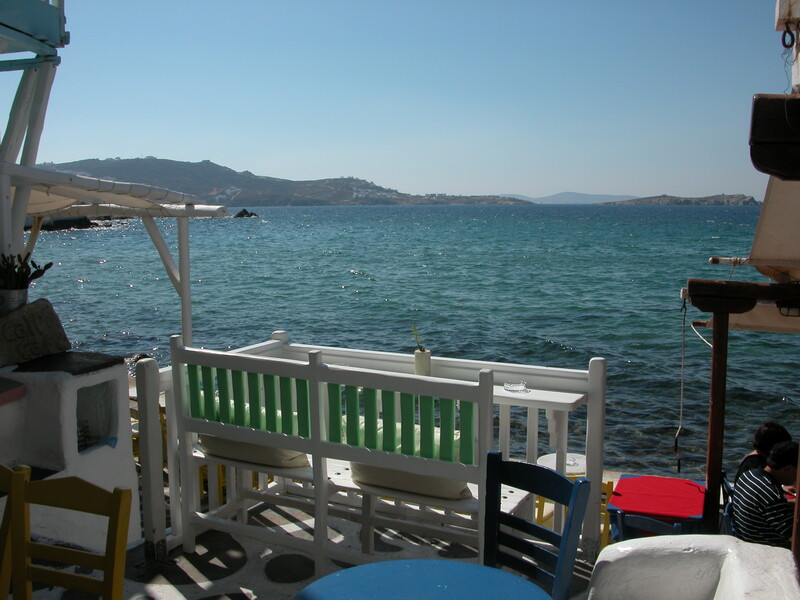 If there was ever a moment that defined how my cooking changed, and how our view of dining also changed, it was a trip to Greece and the Islands in 2004. Third time lucky, I would say. We planned this trip three times. First, 9/11 canceled my 50th birthday present cruise scheduled for late fall 2002. The cruise lines pulled their ships from the Med. Our next attempt, on Windstar, was canceled due to the fact the ship caught on fire and sunk six months before our scheduled cruise. Finally in 2004, we made it there. Right after the Olympics. 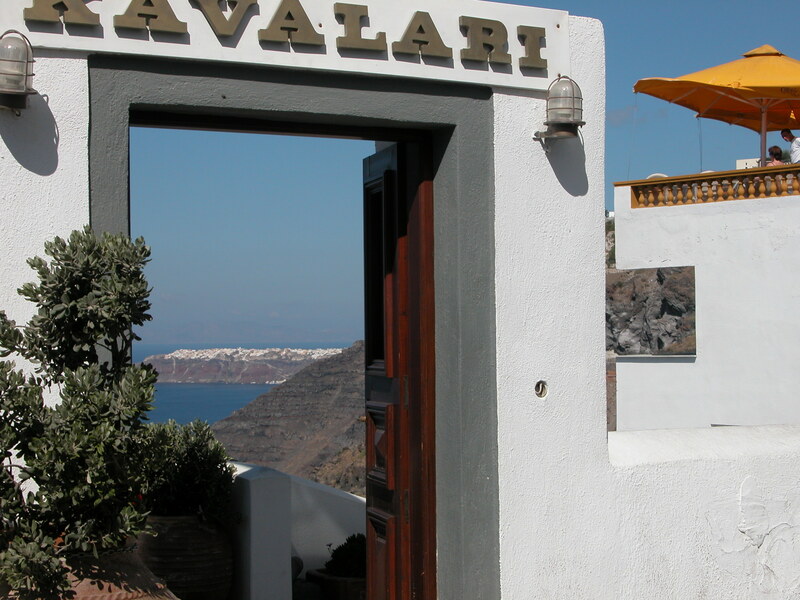 There, in the islands, we learned to enjoy small plates of fresh food, simply prepared and eaten at leisure, with wine, a view and good friends. Doesn’t this view beat that of a parking lot, or a storm water management pond? This trip, and our trip to Provence, greatly influenced how I cook, and how we dine. We love putting together a mezze assortment. Mezze being the Greek equivalent of tapas. And, we love dining out back watching the birds, squirrels, bunnies and butterflies. Tonight I grilled some old pizza dough I found in the freezer. It looked ugly but tasted great. Put out an assortment of tomatoes, olives, mushrooms, and a jar of my ajvar. Nothing really fancy, just “flatbread” to dip and pile. Mix and match. With a side arugula salad with balsamic. No pictures of dinner tonight. Sometimes those messy plates of leftover goodies paired with bread or naan, are all we need to remember trips from the past. And, how good the fresh seafood, veggies and fruit tasted. Bought and enjoyed in exotic settings. I don’t have to go to Greece to eat well. I can’t come up with a view that compares, but love my ajvar spread on charred warm pizza dough. 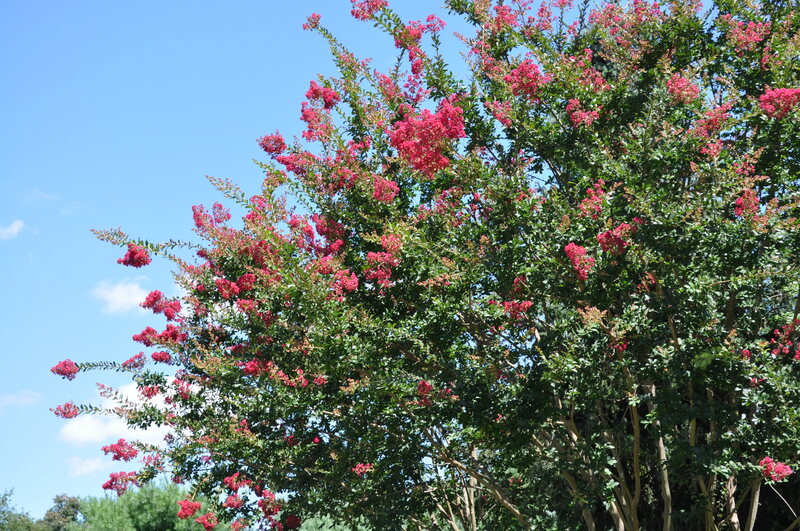 Watching the crape myrtle in the sunlight. Not bad. With a glass of old red wine. Loving the Saturday night. What’s your inspiration? Posted in Food, Nature, Real Food, Remember When, Travel and tagged cooking, Food, foodie, grilling, nature, real food, travel, weather. Bookmark the permalink. My inspiration is whatever’s needing to be used up in the fridge! I do love a good dip dinner, though I’ve never been to Greece or Spain. I suppose I get inspired by reading blogs, like yours, with delicious combinations of foods.